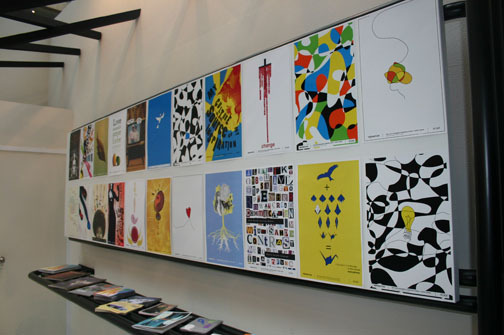 Two posters designed for the Young Designers Expo in Taipei, Taiwan. 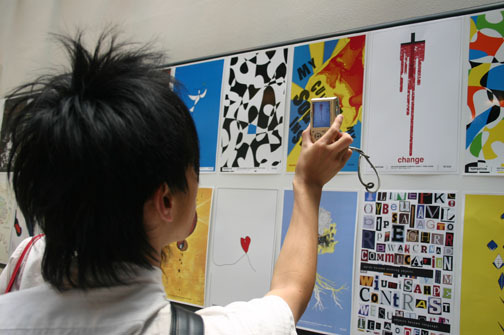 The theme of the event was "Inspiration". 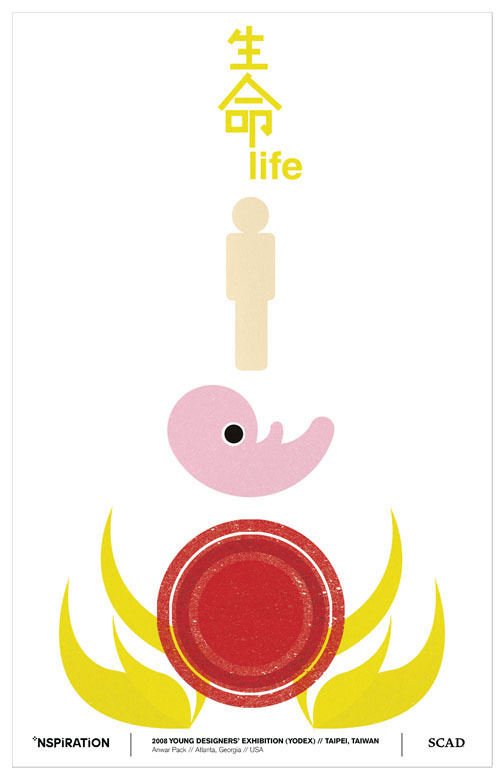 What inspires me is life...I decided to illustrate the cycle of life from birth to death, and after life. 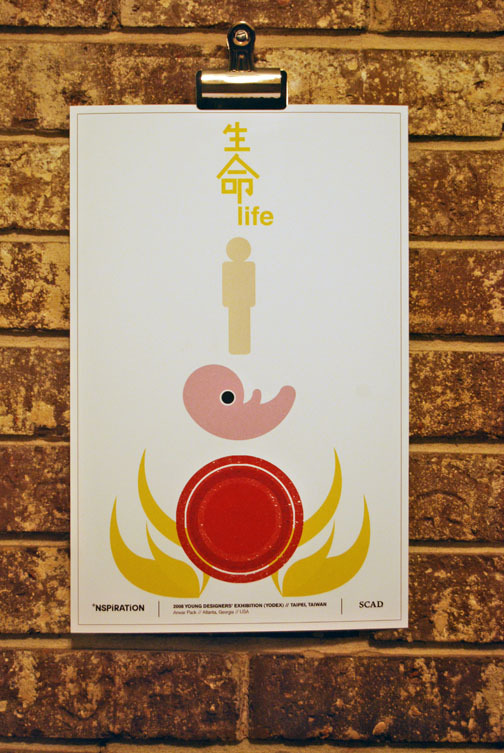 I made the Chinese character for life and the English word in gold, to illustrate a higher existence. 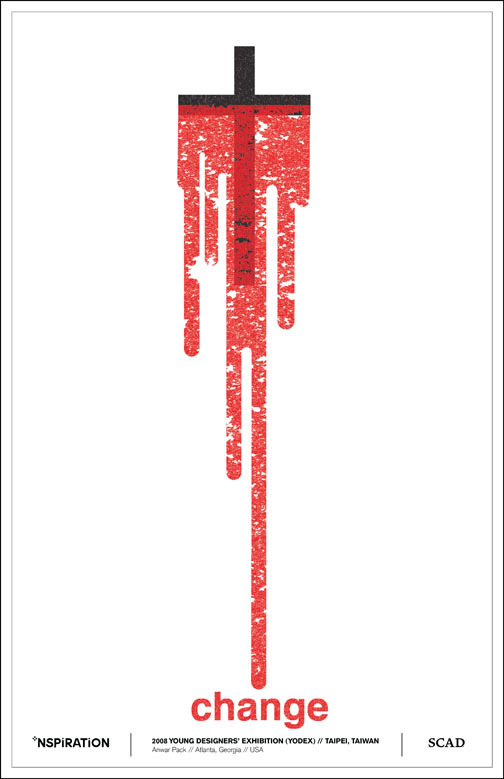 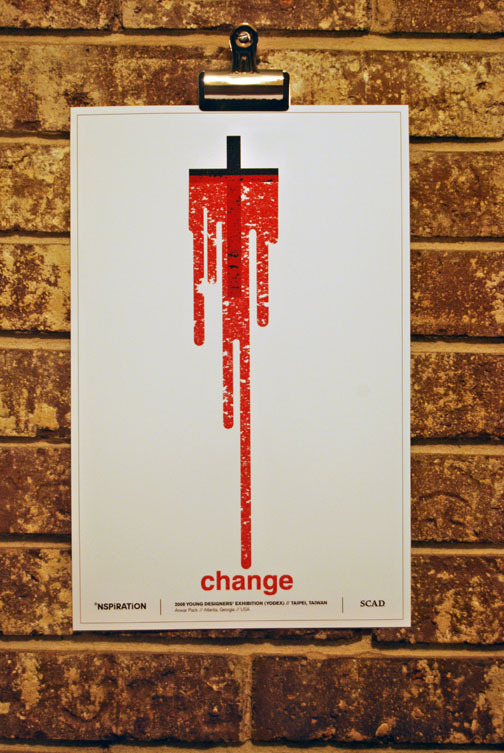 For the second poster I illustrated something else that inspires me, which is "change".